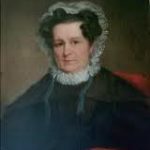 Rebecca Tayloe was born in 1753, one of the eight daughters of John Tayloe of Mount Airy, a mid-Georgian plantation house in Richmond County, Virginia. Tayloe, a fourth generation tobacco planter, began construction of the house. The project was started around 1748 with completion in 1758. Its twenty-five spacious rooms afforded generous accommodation for the guests who were eager to accept the invitations of Colonel and Mrs. Tayloe. Francis Lightfoot Lee was born on October 14, 1734, to Thomas and Hannah Ludwell Lee at Stratford Hall Plantation, the family estate in Westmoreland County on the Northern Neck – a peninsula (traditionally called “necks” in Virginia) nestled between the Potomac and the Rappahannock Rivers. He was the sixth son and eighth child of the Lees, one of the most famous families in Virginia. His brothers, William, Richard Henry, and Dr. Arthur Lee were also American Patriots. Francis was raised at Stratford Hall Plantation, and like most male children of the Virginia planter class, he was educated at home by a private tutor and was well read in Classical literature, history, and law. He did not have the advantages, which were enjoyed by the elder sons, of an education at the English universities. The year 1750 was painful for Francis and his younger siblings. While their older brothers were still in England, both parents died that year when Francis turned 16. The children inherited a combination of land, money, slaves, and company stock for land speculation in the Ohio River Valley. Francis was left Coton, a family estate in northern Virginia. During his time as a Burgess, Lee remained attentive to the political scene of not only Virginia, but also of the colonies. 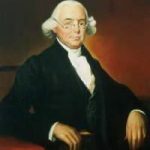 He became an opponent of taxation without representation and other British offenses, which he protested not only through personal letters, but also in signing his support to important documents, including the Westmoreland Resolves of 1766. As a member of a committee appointed to protest British policies toward the colonies in 1768, Lee maintained an active role in opposition to the British. Lee joined the Revolutionary movement at an early date. From the time of the Stamp Act (1765) until the outbreak of war a decade later, he participated in most of the Virginia protests and assemblies. Frank Lee, as he was known to those close to him, was regarded by his brothers as the keenest of them all in political judgement. He had no taste for public life, but the responsibilities that came from bearing the Lee name during the turbulent times of the American Revolution eventually propelled him into service. Rebecca Tayloe was sixteen when Francis Lee fell in love with her. Her father, John Tayloe, was a member of the King’s Council, who had his family join him to “spend the season” in Williamsburg. Lee, in the capital city as a Burgess, was considered “the catch of Williamsburg,” and Miss Tayloe was one of the belles of colonial society. The two were very happy together, and their courtship seems to have been one of the major events in the social news of 1768 and 1769. On April 21, 1769, Francis Lee married Rebecca Tayloe. He was 35; she was 16. Rebecca’s father was devoted to his daughter, and did not want her to move very far from him. Instead of the cash dowry he bestowed on the husbands of his seven other daughters, Tayloe gave his daughter and her new husband a 1000 acre parcel of land on his Richmond County plantation, Mount Airy, and agreed to build a house, domestic outbuildings, and plantation structures for a man of high social and political rank, which they named Menokin. The newlyweds resided at Mount Airy with Rebecca’s parents until Menokin was completed in 1771. 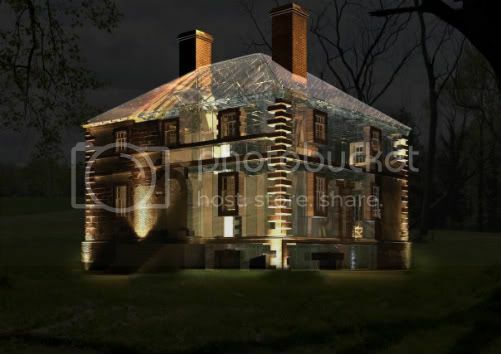 Three dimensional rendering of plans to rebuild this historic home. Except for the years 1775-1779, when the Continental Congress took both Francis and Rebecca Lee to Philadelphia, the couple always lived at Menokin. Thus the house earned status as the dwelling of a Founding Father and a signer of the Declaration of Independence. Eighty percent of the house remains, but most of it is in pieces. Having settled at Menokin, Lee was elected representative of Richmond County to the House of Burgesses. He served reluctantly at first, preferring to spend time with his new wife. 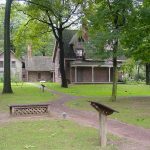 The union with Rebecca was a marriage of love, and the letters they exchanged while Frank served in the House of Burgesses in Williamsburg reveal how much the separation cost them. This day the resolve for independency was considered and agreed to in Committee of the whole… Tomorrow it will pass the house with the concurrence of South Carolina… if our people keep up their spirits, and are determined to be free; whatever advantages the Enemy may gain over us This summer and fall; we shall be able to deprive them of in the winter, and put it out of their power ever to injure us again. Yet I confess I am uneasy, least any considerable losses on our side should occasion such a panic in the Country, as to induce a submission. Frank Lee signed the Declaration of Independence with the other delegates on August 2, 1776. Richard Henry arrived later, and signed on September 4: the only brothers to sign the Declaration. Frank also participated in the preparation of the country’s first constitution, the Articles of Confederation; he was one of only sixteen signers of the Declaration who signed both documents. Their responsibilities took them across the Northeast, as the Congress fled from city to city to escape the British army. During the bitter winter of 1777, while the Continental Army froze at Valley Forge, Lee became chair of a special Congressional committee to support the starving army. A story is told that Pennsylvania ignored letters from Congress and denied help from the imploring Army. Lee wrote a critical letter to the governor informing him that the Continental commissary would levy Pennsylvania farmers to produce food for the Army. Although it was unconstitutional, the letter worked, and the Army survived that terrible winter. Lee became a close associate of Thomas Jefferson and Patrick Henry, though he preferred library discussions and back-room strategy to the limelight of public debate. His contributions to the formation of the American Republic, though subtle and often overlooked, were nonetheless critical. Frank served, it seemed, from a sense of duty and conviction rather than one of ambition. Due to the three-year limit that had been imposed by the Revolutionary Government, the Lee brothers resigned from the Continental Congress on the same day, May 15, 1779. In 1780, Frank was elected to the Virginia Senate and served there until 1782, but for the most part he was content to be at home at Menokin with his books and his farm and his beloved wife, Becky. Though they had no children of their own, after William Lee’s wife died in the winter of 1785, Frank and Becky welcomed William’s daughters, Portia and Cornelia, into their home. They raised their two nieces, and the girls remained with them as long as Frank and Becky lived. Frank spent his remaining days reading, farming and enjoying the quiet country life. He did, however, remain interested in the political scene, and is purported to have supported the ratification of the Constitution. Francis L. Lee on whose judgment the family place much reliance, is decidedly in favor of the new form [the Constitution] under a conviction that it is the best that can be obtained, and because it promises energy, stability, and that security which is, or ought to be, the wish of every good citizen of the Union. Frank had suffered occasionally from pleurisy: inflammation of the lining surrounding the lungs caused by a viral infection. The main symptom of pleurisy is a sharp or stabbing pain in the chest that gets worse with deep breathing, coughing or sneezing. Rebecca also became infected, and it eventually took both their lives. Rebecca Tayloe Lee died at Menokin on January 7, 1797, at the age of 45. Francis Lightfoot Lee died at Menokin on January 11, 1797, at the age of 62. Francis and Rebecca Lee are buried at the Tayloe family cemetery at nearby Mount Airy. He did no brilliant things, he made no brilliant speeches; but the enduring strength of his participation was manifest, his fearlessness in confronting perilous duties and compassing them was patent to all, the purity of his motives was unquestioned, his unpurchasable honor and uprightness were unchallenged. Described by one of his niece as the “sweetest of all the Lee race” and as possessing a temper “as soft as the dove’s,” Francis Lightfoot Lee had a life that was “most useful and worthy,” the life of a true patriot. His involvement with the founding of our country is evidenced not only by his signature on a document, but with thirty years of active political life, a life in which he opposed British measures, sought independence, and served our nation as a member of the Virginia House of Burgesses, the Second Continental Congress, and the Virginia State Senate.